Nothing says refined more than a bespoke suit. Edward Baumann Clothiers custom made suits are unparalleled in both style and quality of material. Each suit is fabricated with the finest of American craftsmanship, and it shows in every garment we pass on. You won’t just look better, you’ll feel better too. A man who is dressed with a sharp suit tailored just for him will walk differently, talk differently, and even think differently! Take this first step to looking and feeling your best with a perfect suit just for you. Dress with the confidence to know you chose the right men’s custom clothier. You can’t be your best unless you dress your best! Take the first step by making an appointment now, please visit our contact page for more info. Every suit is custom made to your specifications. 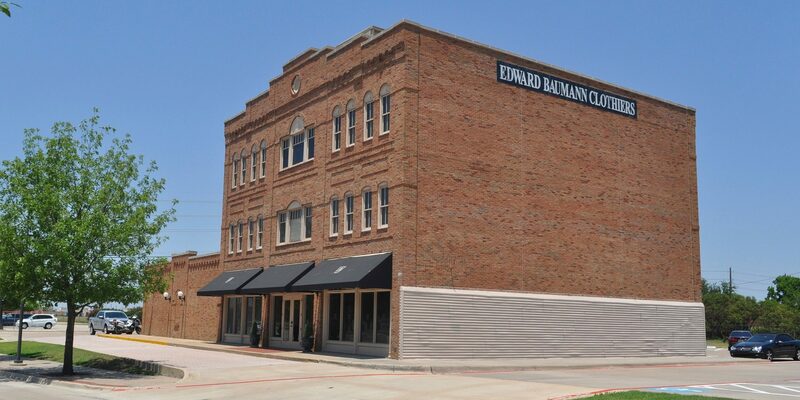 We dedicate our efforts to giving you the service you expect from a Dallas clothier. Rest assured each stitch is hand tailored and the fabric’s thread count is just as we say it is. If you’re searching for the finest custom suits, look no further. Your image and style is quintessential for success, and we’re here to help you with that. Edward Baumann Clothier’s defines the art of apparel. We create custom clothing and polish your image to its finest edge, considering every detail in exceeding your expectations.